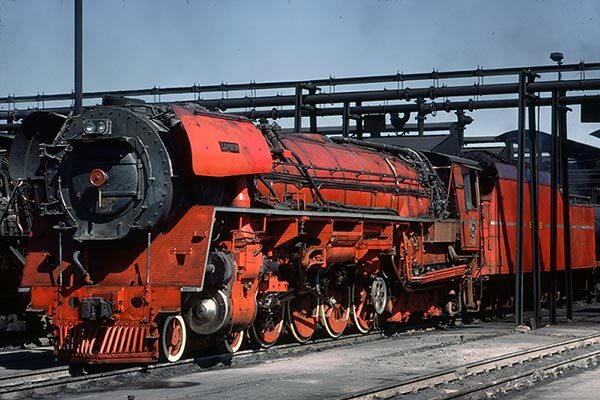 Caption - South African Railways (SAR) class 26 4-8-4 3450 "L D Porta" or the "Red Devil" is seen at Beaconsfield loco shed on 10th August 1982. This impressive machine was being used on the lines from Kimberley to De Aar and Bloemfontein as part on ongoing performance monitoring. If only there had been more!